“Mom” has been rockin’ these new Naturalizer Britain Boots for the past two weeks, and has barely taken them off until bedtime. Talk about giving you an instant edge, no matter what outfit you wear with them! An instant classic that are comfortable from the moment they are placed on your feet, the boots continue to conform to your feet the more you wear them. With anything that shouts “royal” or “Britain” being a trendsetting piece these days, the new Britain Boots pair well with just about anything – from a great tee, to a motorcycle jacket, or even a fitted sweater or blazer. 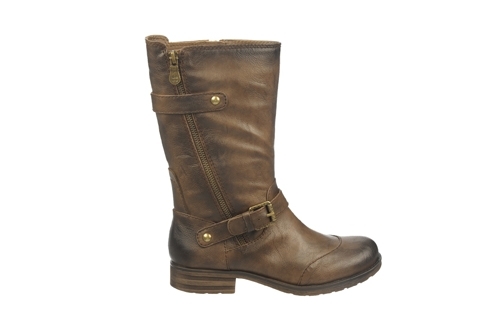 The Britain boots from Naturalizer are made of a faux leather upper in a casual mid-calf boot style with a round toe, and include decorative buckle straps and an outside zipper at the shaft. With a functional inside zipper for easy slip-on construction and a lovely smooth lining, the cushionined insole wraps your feet in comfort. 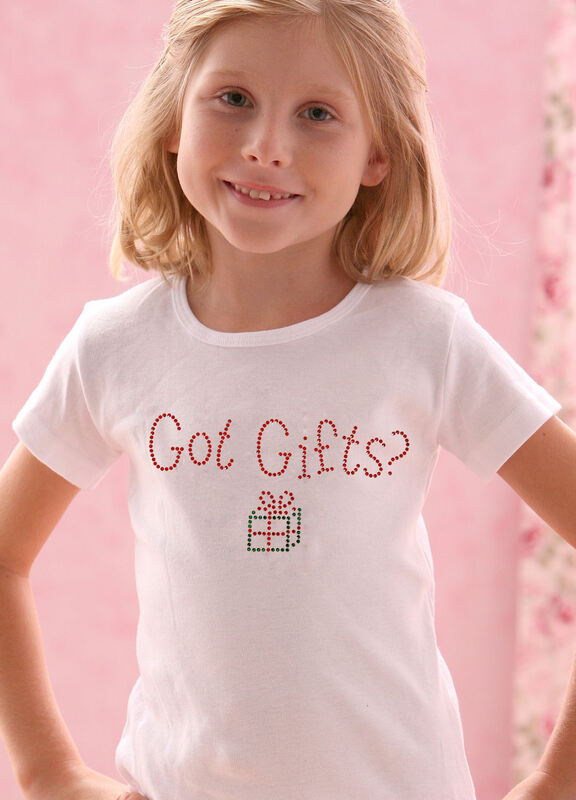 They are available in Dark Taupe and Black. 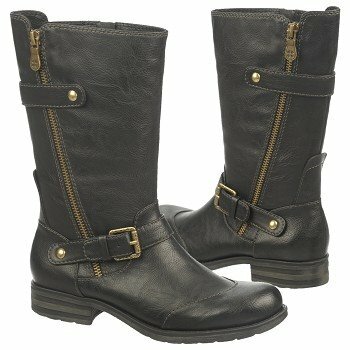 Naturalizer’s new Britain Boots retail for $119.00. They can be found online at Naturalizer.com, and you can also visit the website for a store locator or additional new styles. Ahoy little matey! 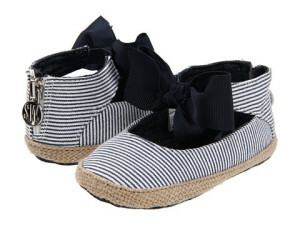 The latest in adorable styles from Stuart Weitzman for the tiniest sailor this summer are these nautical-inspired “Nantucket” baby shoes. With a lovely striped print in either red or blue plus a denim style, and a matching oversized bow in front, the breathable canvas shoes will definitely be a hit! The shoes come with a convenient zipper closure on the back of each shoe to make it simple to put them on or take them off of baby’s tiny feet. Plus, the insole is lightly cushioned for comfort. For your family’s vacation or just sweet summer style, these affordable and oh-so cute infant shoes are this season’s must-have for your tiny fashionistas! To learn more about Stuart Weitzman Nantucket Baby Shoes, or to locate a retailer near you, please visit Nordstrom.com. For minimalist mamas – the new kigo curv gets high marks in cuteness but is built to be tough, too! Designed for athletic pursuits, commuting, or just everyday wear as you chase after the kiddos, this adorable Mary Jane was developed specifically for women as a stylish, flexible and oh-so comfortable shoe. 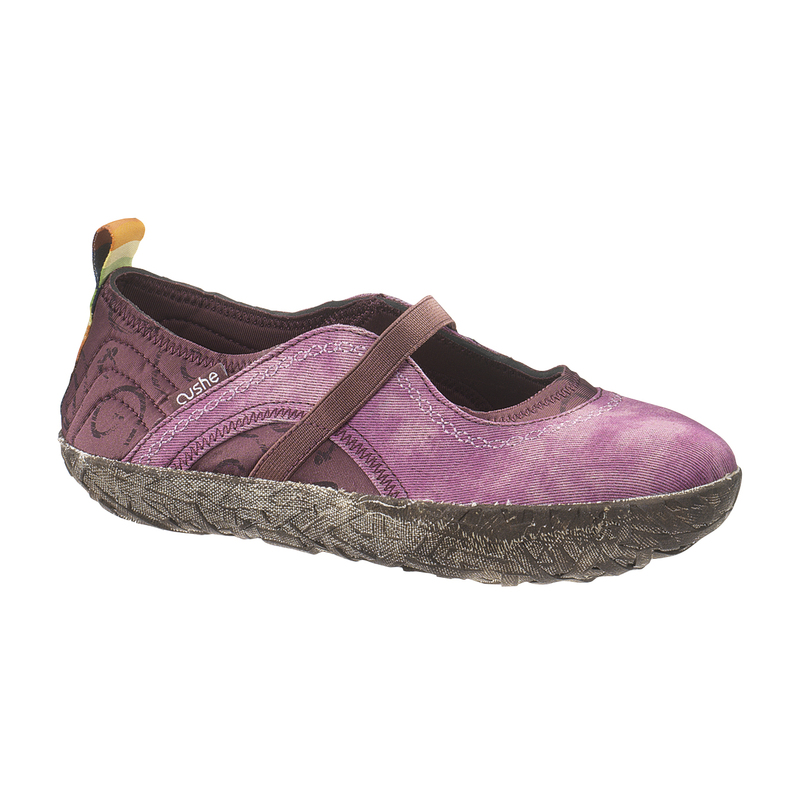 Light as a feather at a mere 4 ounces per shoe and made from post-consumer and eco-friendly materials, the kigo curv features a durable rubber outsole with feminine details. Plus, the kigo curv is anti-microbial and extremely versatile, packing easily for travel for spur of the moment outings. What are the key features of the kigo curv? To learn more about the kigo curv, or to view the other styles available, visit www.kigofootwear.com. 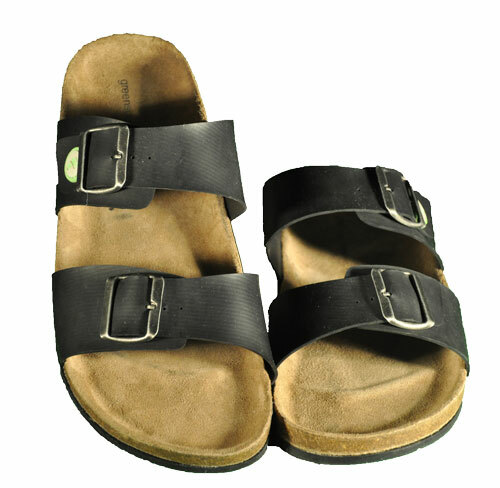 The first shoe to be introduced in the Cushe C.L.I.M.A.T.E. Project (Contains Low Impact Materials And Thinking Environmentally), the MJ Shucoon is in a class all by itself! For those who want to reduce their carbon footprint (literally! ), the Shucoon offers both style and durability, cocooning your foot in comfort as you head outdoors this Spring. The MJ Shucoon is made of a combination of 100% Organic Cotton, 70% Recycled Lycra, and 60% Recycled Jersey, and other environmentally-friendly materials, leaving a lighter footprint upon the Earth when worn. The MJ Shucoon is available in 4 flattering colors, including pink/purple, black, green, and off-white. For more information on the Cushe C.L.I.M.A.T.E. Project, or to order, please visit www.cushe.com. Renew Your Soles on America Recycles Day! In honor of America Recycles Day, Naya is currently hosting ‘Renew Your Soles,’ a nationwide shoe donation and recycling initiative in partnership with national non-profit, Soles4Souls®. Your readers can participate in the Renew Your Soles initiative online through the end of 2010 by visiting Naya®’s page on Shoes.com, printing a donation form and mailing their gently worn shoes to Soles4Souls. Donors will receive a coupon for $20 off their next purchase of $80 or more on Shoes.com. Soles4Souls will also mail the donor a receipt for their tax deductible donation. 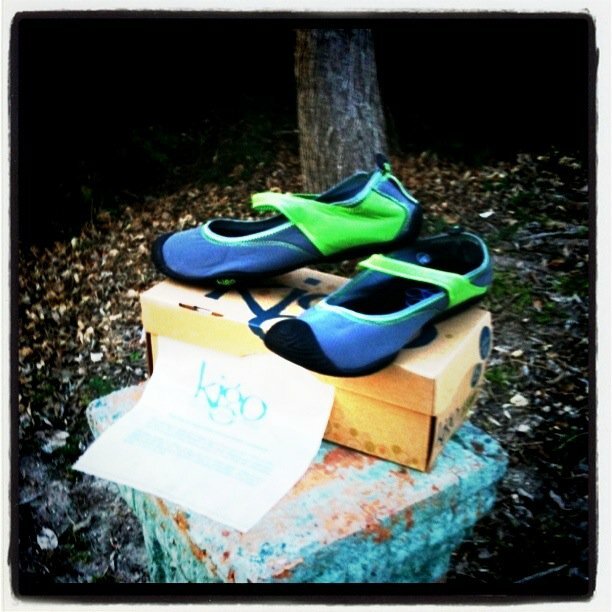 Contributed shoes that cannot be worn will be recycled. Let us all tread with a softer footprint on our earth this season. You can also enter to win a pair of Naya®’s shoes by visiting their Facebook page. http://tinygreenmom.com/wp-content/uploads/2018/07/logo-sm.png 0 0 Tiny Green Mom http://tinygreenmom.com/wp-content/uploads/2018/07/logo-sm.png Tiny Green Mom2010-11-15 19:58:112010-11-15 19:58:11Renew Your Soles on America Recycles Day! Tiny Green Mom Featured on SheKnows.com! 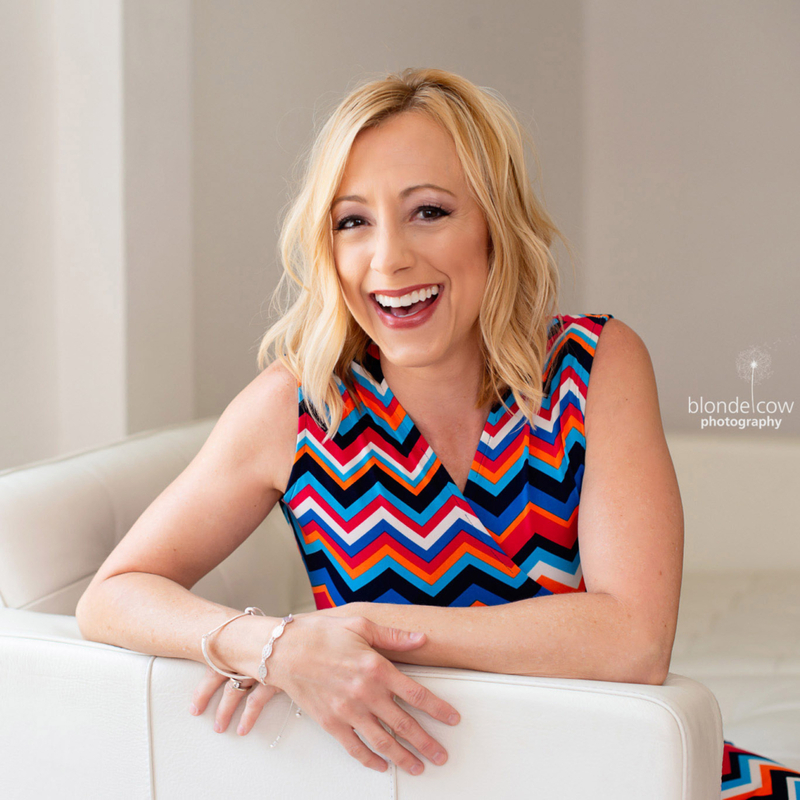 “Mom” is over the moon – her 2nd article was featured on the super popular SheKnows.com today! Please stop by to read the article on Eco-Friendly Holiday Fashion, and browse throughout this awesome, informative site for women. Read the entire article here. http://tinygreenmom.com/wp-content/uploads/2018/07/logo-sm.png 0 0 Tiny Green Mom http://tinygreenmom.com/wp-content/uploads/2018/07/logo-sm.png Tiny Green Mom2010-10-19 11:53:052010-10-19 11:53:05Tiny Green Mom Featured on SheKnows.com! GreenSoul Shoes is on a mission to shoe 1 million children in 5 years! You can assist their efforts by purchasing a pair of their 100% up-cycled sandals to wear, and GreenSoul Shoes will give a pair away to an underprivileged, barefoot child in the same community that the shoes were made. It is that easy! The typical mode of transportation in many of these communities is by foot, and a pair of shoes can mean that a child can walk to school to receive an education without worry of infection or injury. Education is the first step in breaking the cycle of poverty, and the seemingly small gift of a pair of shoes can literally set the child on the right path. This amazing, planet-conscious company works with local artisans from various developing nations to produce a comfortable, high-quality sandal that is entirely made out of inner tubes and rubber tires with absolutely no staples, pins or glues. What is even more exemplary is that this organization has decided to not only help place shoes on children’s feet, but they have considered the fact that discarded tires can take over 80 years in illegal dump sites to decompose, and become breeding grounds for mosquitoes, which cause diseases such as malaria and dengue fever. In addition to their sandals, the artisans handcraft gorgeous bracelets and matching necklaces created out of magazines, as well as large and small-sized tote bags. “Mom” was fortunate to receive a matching bracelet and necklace set that is truly beautiful. The artisans chose to roll the same color of magazine papers into a gorgeous set that has everyone guessing what the jewelry is made from! 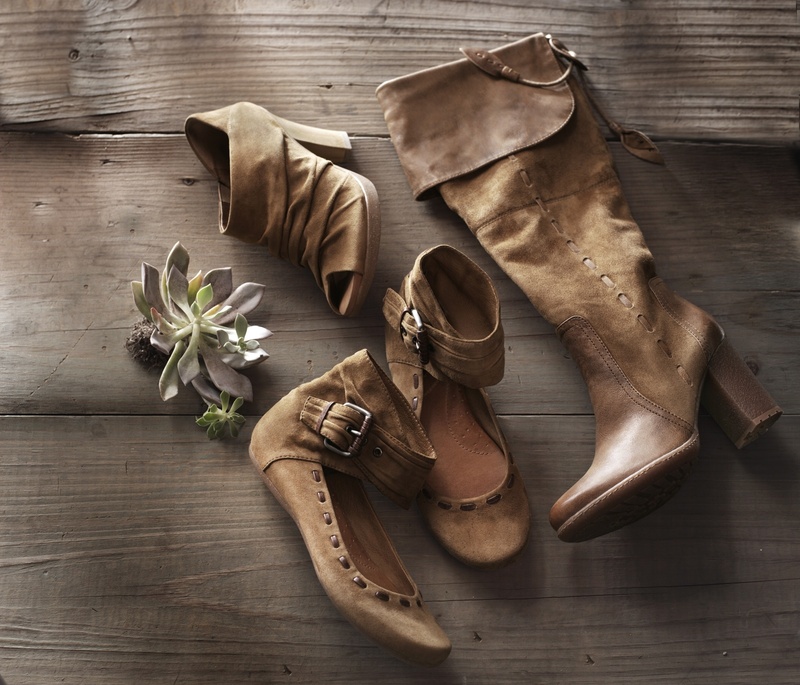 With their “Buy One, Give One” policy, GreenSoul Shoes is truly making an impact. To learn more about www.greensoulshoes.org, or to purchase a pair of sandals, please visit their website. Finally – a fashionable collection of eco-friendly footwear that can go from the office to happy hour in style. Chic and comfortable, the Naya Fall 2010 Collection is absolutely stunning. These are not your hemp shoes of yesteryear! From gorgeous, feminine pumps to super-soft suede boots and booties, the entire collection is tailor-made with the eco-fashionista in mind. For those choosing to go green, it does not need to stop before your feet! Good for your soles as well as your soul, a pair of Naya’s footwear will become your top pick when deciding what shoe to pair with your outfits, whether night or day! “Mom” just could not believe how delightfully soft & luxe the Naya Fauna eco-friendly flats felt on her feet when worn! For more information on this unique line of eco-fabulous footwear, and to view the entire Fall 2010 Collection, please visit Naya Shoes.